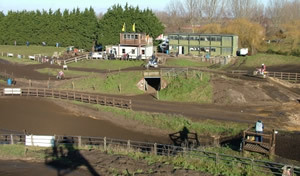 Chippenham motocross track is a sand based which changes regularly. There are three tracks in the wildtracks complex autos, beginners and the main track. There is a qualified first aid personnel on site, marshalls on track and a lighting system around the track to enhance safety. There is also a catering hut and built in toilets. There is more than just motocross at wildtracks see their website for more activities. deep sandy/clay surface which can get rutty in wet, good track to go to in the winter as seems to handle the rain better. are you allowed to ride pit bikes on this track ?? After having a quick flick through the pitbike forum they are doing something with them there. They do have a small beginners track they’re possibly riding on that. 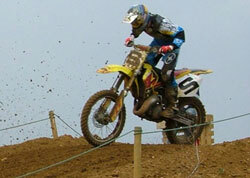 Take a look at http://www.pitbikeclub.co.uk you should get a definite answer on there.